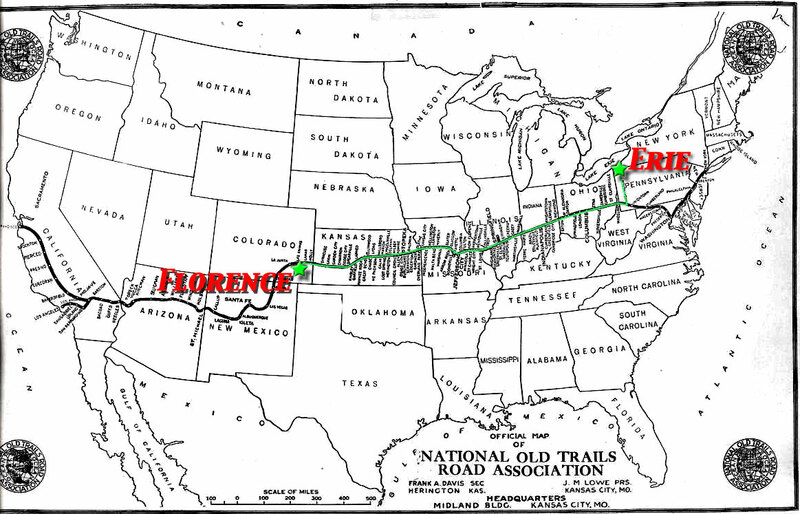 The Route Home -- "Old National Trails Highway"
In the spring of 1929, my father graduated from Pratt Institute in New York City, New York at the age of 23. 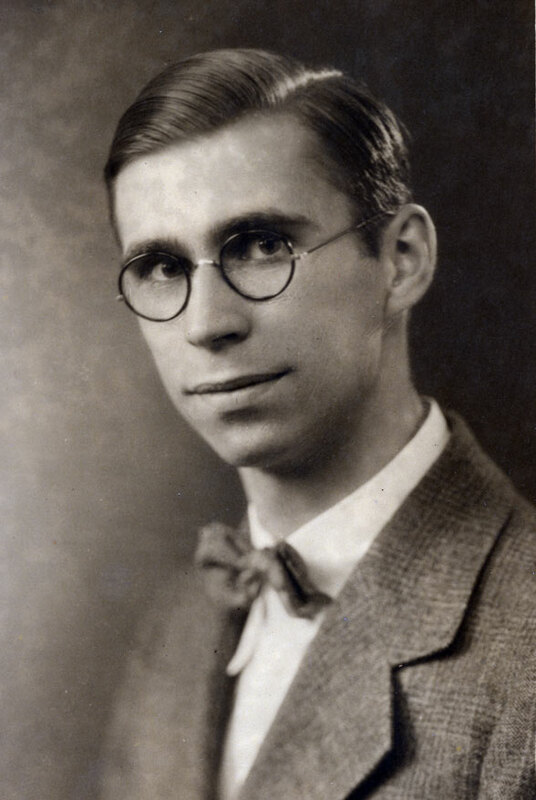 No doubt, like most new graduates, he was filled with optimism and the economy was booming. He apparently decided to seek his fortune in the western states where several close relatives lived. He spend time in Boulder, CO as a teenager (14-16) when his family they moved there to aid in his father's health. The climate did not make a difference, so after two years, they moved back to Erie, Pennsylvania. His parents soon built a new home at 649 West 9th Street and hired a housekeeper named Bridget. In 2010, I discovered an intriguing letter my dad wrote home to his father while documenting the family archives in Boulder, CO. This letter, and other documents, indicates he drive west and spent several months in the west, but could not find work and decided to come home. He decided to return home, a 1,500-mile trip, in the middle of winter with a car that could only do 40 MPH on a good road and probably had no heater! I know that he made it home safely, but nothing else about the trip. I would also like to know what he brought back home with him. The car was very small and a considerable amount of space could have been taken up with a back-up fuel canister that I am told was often carried on long-distance trips. Did he use a fuel canister? Did he take along his ham radio equipment from the rented room? The radio equipment probably would not have been much larger than a couple of shoe boxes. Apparently he could not find work in Erie. 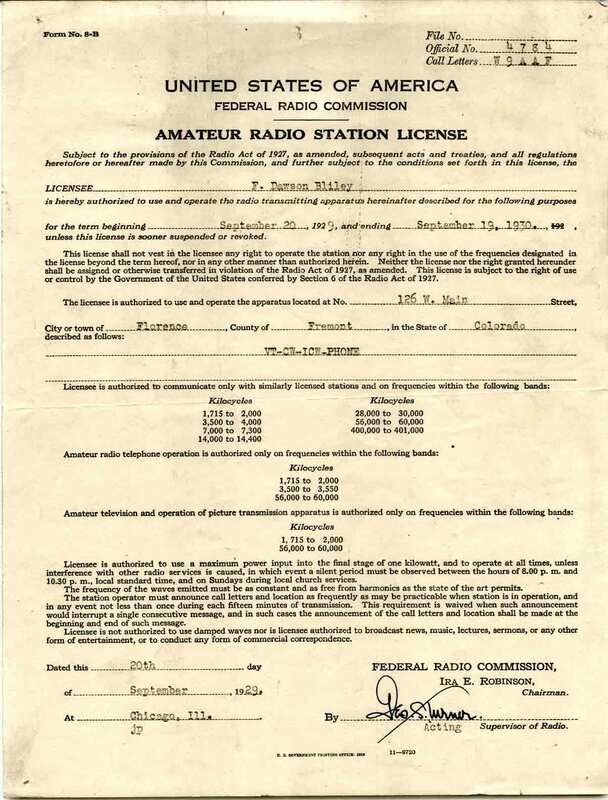 With his parents financial support he started his own business, based on his hobby interest of ham radio, in the spring of 1930. That business is still doing well and still bears the family name as this is written, 81 years later. Perhaps, it was destiny calling him home. You can read the original letter online, or my transcription below. I suggest reading the original, as it shows his handwriting pattern and corrections. No doubt he was very anxious about the trip and eager to get the letter out, so he made several grammatical, spelling and punctuation errors. 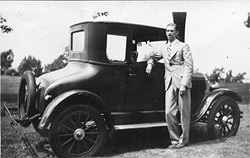 I also was blessed to find some actual photos of his car from 1929, and the similar model in 2011 on an auction Web site. Enjoy the ride just as I did while researching the story behind this letter. As far as I can remember this is the only the second or third time since 1926 That I have ever addressed a letter directly to you! However, this is not for money! By the time this reaches you I will be started to Erie. Wait—Please don’t tell mother she would worry would worry herself sick. And tell Joanie. But under no consideration tell mother (or Bridget). I am leaving Dec 26 which aught to get me home before New Years. I may be a darned Fool, but it seems the best thing. Have that on the thing for several weeks. Believe me it has been very notty problem to work out. I will always regret going back and it almost breaks my heart (If a fellow has a “heart”.) There is nothing definite in Calf. And probably wont be any. Of course I will get a job immediately. Will use “travelers checks”. (about $75) That should be enough. Am coming by “Old Nat. Trails”. K. City, St. Louis, Indi. Columbus, Pgh, Erie. I have thoroughly over-hauled the Ford. Should be there day or so before New Year’s. Leaving then in good humor. P.S. Will write an indefinite letter home. 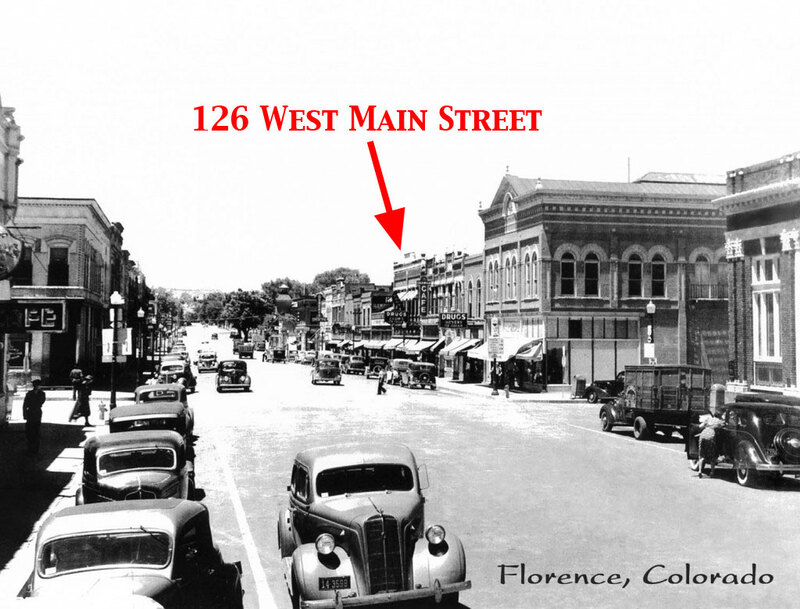 His cousins operated an electrical supply and service business in Canon City. Both cousins owned their own homes. 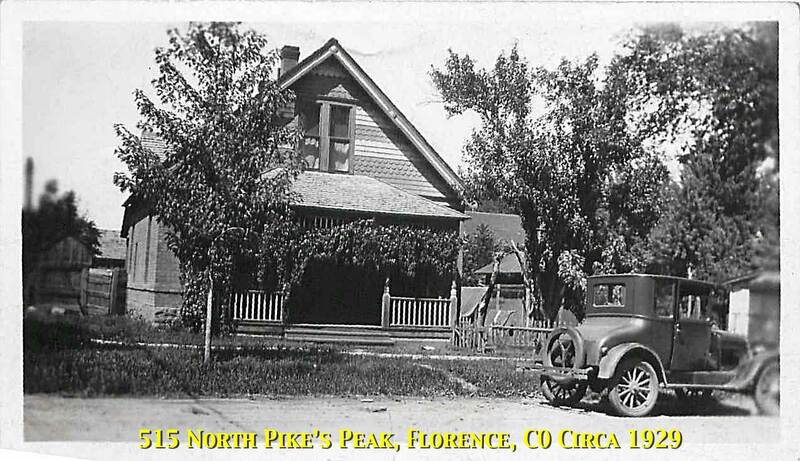 He took photo of his car in front of 515 North Pike's Peak, Florence, Colorado. The home was owned by: Alpha (school teacher) and Katherine Buickle with two daughters. His relationship to owner and family is unknown, but they had a single 21-year-old daughter, Dorothy, who worked in a beauty shop, perhaps near his apartment--then again, this is a small town. Did he date her? 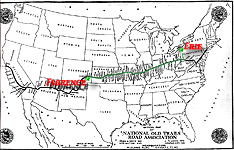 There was a series of roads stretching from San Francisco to Las Angeles, California across the U.S.A. to Washington, D.C., Philadelphia and New York City, NY. It was a hodgepodge of roads that would ultimately be the basis of more modern roadways of Route 66, Interstate Highways 40, 25, 70 and 76. In 1929, this was at best a two-lane asphalt highway. 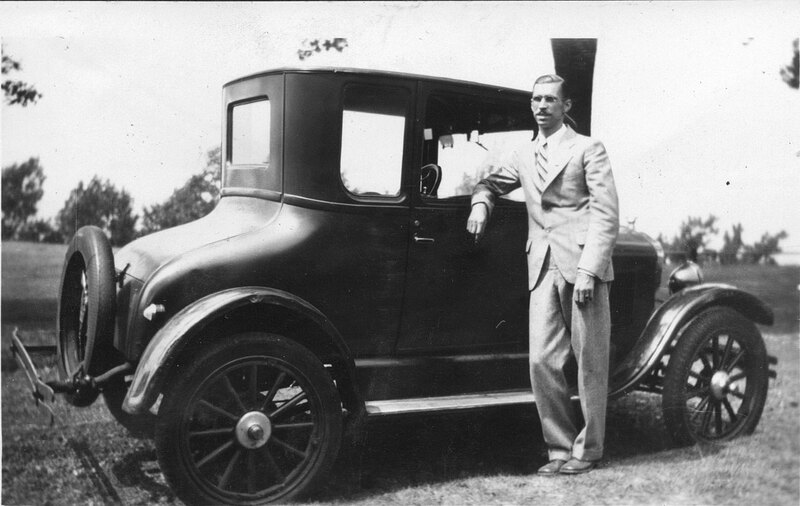 Long-distance drivers often carried an auxiliary five-gallon gas container on the running board. 1925 Ford Model T, click here.